If you live in the US and celebrate Thanksgiving, I`m sure you`re all thinking about the amazing foods next week! I may not know how to brine, stuff, and roast a turkey, but I know how to make baked treats! 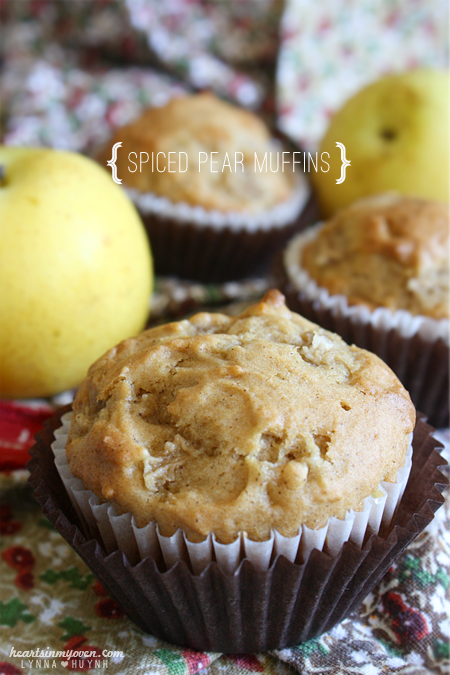 Like, these pear muffins. I realized I never bake with pear, so I changed that when we had a bunch of Asian pears laying around. With all the great Thanksgiving food around...it`s very hard to resist all the yumminess going around. 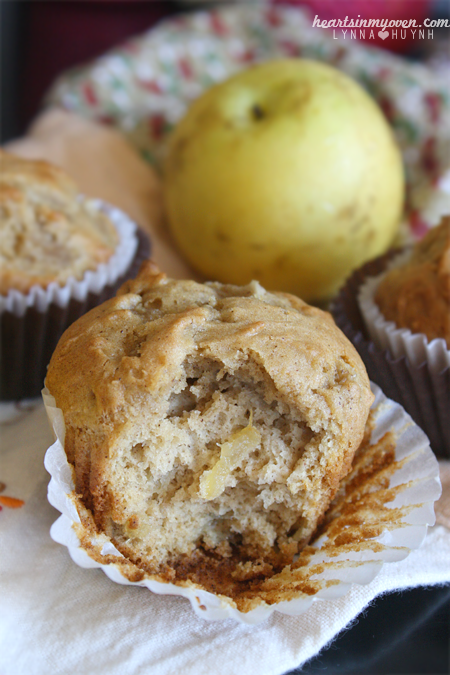 No fear, these muffins are less than 200 calories each. Your kitchen will smell like Fall when these muffins come out. You can definitely reduce or add spices, depending on your preferences, as well. Personally, cinnamon is my favorite spice in the world, so that was definitely mixed in! I`m keeping this post short, but don`t worry! I have one crazy-over-the-top-deliciously-incredible recipe coming up for you. DO NOT MISS IT!! I can barely keep my eyes open, right now, so bare with me. Haha. 1. Preheat oven to 400°F. Grease muffin pan. 2. In a large bowl, whisk together flour, baking powder, baking soda, cinnamon, nutmeg, and salt. 3. In a medium bowl, mix together brown sugar, butter, eggs, and vanilla extract. 4. Add wet ingredients to the dry until barely just combined. 5. Fold in pear until just combined. 6. Using a cookie scoop, divide batter among muffin cups. 7. Bake for 20 minutes, or until golden. 8. Let muffins cool in pan for 5 minutes, before removing to cool completely on cooling rack.